The place where I live in, I share some of the facilities with other residents. Such as the toilet and kitchen. There is one individual who intermittently gets drunk and now has just started smoking marijuana, after a long period of quietness. He has again, just recently started, being antagonistic, trying to create uncomfortable feelings.. I had told the land lady in the past, but she cannot do anything until she catches him, then she can give a warning, on the second warning, he will have to leave. In the past he made threats and loud noise, not caring about anyone. He made a verbal threat that he would cause harm. He was picking up on me being stressed. I was getting very physically stressed. And this was affecting many areas of my life. I have prayed and felt a some personal balance in my life. But it is hard dealing with these events. 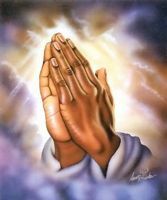 But, I would appreciate prayers of protection on all levels, physically, mentally and spiritually. I have a very sick mother in hospital I am trying to support. She has broken some bones in her neck and slowly recovering. I am also studying for a university degree. I cannot be a good support to my mum, or study in an atmosphere that he sometimes creates. Tonight, is not a pleasant feeling. Some days, I sometimes have to study outside, away from my home, because of this situation. I would deeply appreciate prayers and healing, and feeling God's love and protection. Thank you, Lawrence F.
Hello there. Has anybody told you about the "Prayer for Protection"? Not only will you feel better yourself, your family (living and dead) will benefit from it, and the place where you are at will also be protected. Or you might also opt to google for yourself. The best protection you can have is to forgive this person for what he is doing to God (yes, he sins against God for defiling his own body), what he is doing against himself and what he is doing against you. Then ask God to forgive him and take away his dependency on the smoking of this stuff. Every night before going to bed and every morning upon rising you can pray the following prayer of protection: I call out the blood and name of the Lord Jesus Christ over my life, my person and my home; I ask that God will release the power of the cross and the power of the resurrection life over me; that God will cover me with his covenant of grace and surround me with the prayers of our Holy Mother, the saints and the angels, through the powerful working of the Holy Spirit, Amen. Give your problems with this guy to the Lord and thank him for the opportunity to be able to do so. God will take care of the rest!